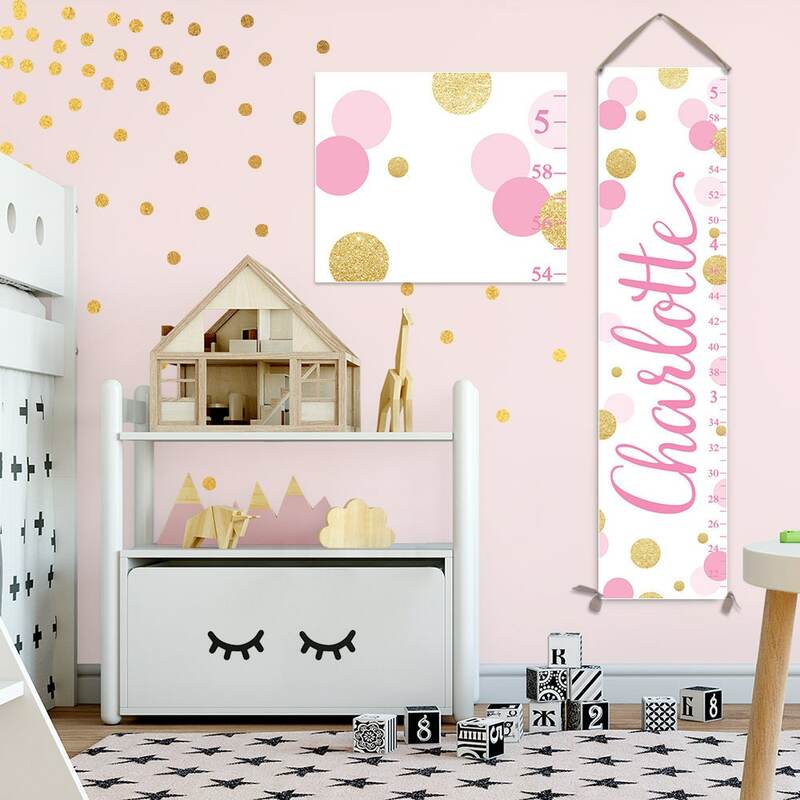 Gorgeous pink and gold glitter growth chart personalized with your child's name! The colors are stunning and the canvas texture and ribbon are luxurious. The growth chart will last as a loving family heirloom forever! • When you order, please leave your child's name in the Notes box at checkout. If you want metric measurements, request that there as well.